How to spend a clean Thursday Holy Week with benefits for the soul and body? What is customary to do on this day, what traditions and customs to follow? On Pure Thursday, believers begin active preparations for the Easter holiday. Usually on this day it is customary to clean and prepare the house for the holiday. At the same time, we must not forget about the essence and meaning of this day and about the soul and repentance. Great (Passionate) Thursday, according to the Orthodox calendar, is dedicated to the Last Supper, during which Jesus held the Holy Communion, and also washed the feet of his disciples. The rite of ablution. On this day, it is customary to get up early, preferably before dawn. The first thing is to do the body cleansing — take a bath, shower or go to the bath. The rite of ablution is done in memory of how Jesus Christ washed the feet of the apostles. It is believed that on this day, the water has miraculous protective properties — it is able to clear not only dirt, but also from sins, evil thoughts, negatives and diseases. During the wash try to think about the good, bright and good, then the water materializes your thoughts. A haircut. There are customs to get a haircut on Pure Thursday. There is a sign that with the cropped hair on this day of the Passion Week, all evil, bad mood, illnesses and evil eyes are gone. It is not necessary to cut off a lot of hair at the same time — you can trim the tips, because, according to legends, it is in them that all negative and unnecessary information and emotions are concentrated. Communion and confession. After ablution, it is customary to go to church for communion and confession. This is necessary in order to get rid of sins and be cleansed from all the bad things that lie in the soul. As a rule, on Holy Thursday, even those who avoid these church rites come to communion. This is not accidental, because it is on Thursday that the rite of communion has a special cleansing power. It is said that on this day even the most terrible, mortal sins can be otmolit. Cleaning the house. After returning from the church, you can start cleaning the house. On Pure Thursday, it is customary to get rid of everything unnecessary and old. You should not regret the failed equipment, old furniture, battered dishes, torn clothes and little things dusty on the shelves. It is believed that along with unnecessary rubbish, all the bad things leave this day — illnesses, defacement, troubles and problems. In addition, general cleaning on Maundy Thursday helps to attract well-being and money from the house. Getting rid of old things, you can attract new ones. 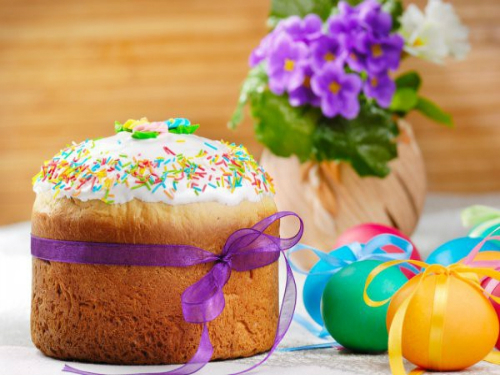 Kulich, Easter and eggs. On Pure Thursday should be bake cakes, cottage cheese Easter eggs and paint eggs. According to folk customs, cooking for Easter should be accompanied by prayers or just bright thoughts. It is forbidden to bake cakes in a bad mood. On this day, a kind and bright atmosphere must reign in the house, then all the treats for Easter will be tasty and energetically clean. Thursday salt. On a clean Thursday, the mistresses make a salt called Thursday. To do this, it was quenched in a frying pan, and then wrapped in a rag. The fourth salt is stored for a year. It is believed that she has a special power that can protect the house from misfortune and disease. It is believed that on Maundy Thursday in the house you can find long-lost things. If there is a loss, then this is fortunately. On Pure Thursday do not give in debt. On this day, it is also not pleasant to give something from your house to other people, otherwise luck will leave. In order to make money in the house, on Holy Thursday you need to recount it three times.